KEN YUSZKUS/Staff photo. The Peabody Street crosswalk at Lafayette Street was recently painted. 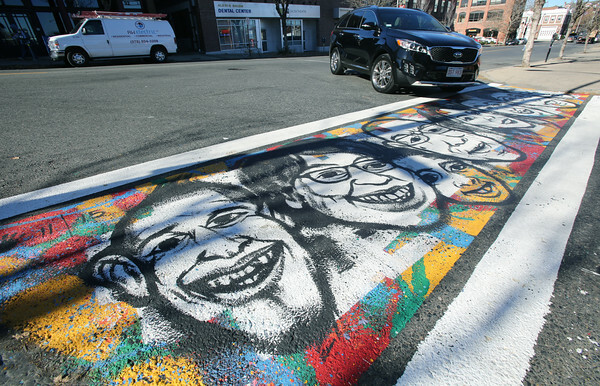 Visiting artist and Salem High grad Ruben Ubiera has painted two new colorful crosswalks on Dodge and Peabody Streets where they intersect with Lafayette Street in Salem. 11/09/15.